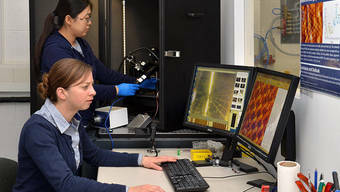 Organic photovoltaics bear great potential for large-scale, cost-effective solar power generation. One challenge to be surmounted is the poor ordering of the thin layers on top of the electrodes. Utilizing self-assembly on atomically flat, transparent substrates, a team of scientists at Physics Department of (TUM) has engineered ordered monolayers of molecular networks with photovoltaic responses. 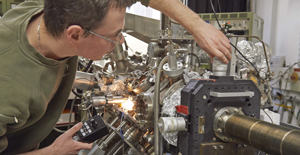 The findings open up intriguing possibilities for the bottom-up fabrication of optoelectronic devices with molecular precision. Nature is unrivaled when it comes to the self-assembly of complex, high-performance molecular machinery for light absorption, exciton or charge separation and electron transfer. Molecular nanotechnologists have long dreamt of mimicking such extraordinary biomolecular architectures and rewiring them to produce inexpensive electricity. Now researchers from the Departments of Physics and Chemistry at the Technical University of Munich (TUM), from the Max-Planck Institute for Polymer Research (Mainz, Germany) and the Université de Strasbourg (France) have modified dye molecules in such a manner that allows them to serve as building blocks of self-assembling molecular networks. 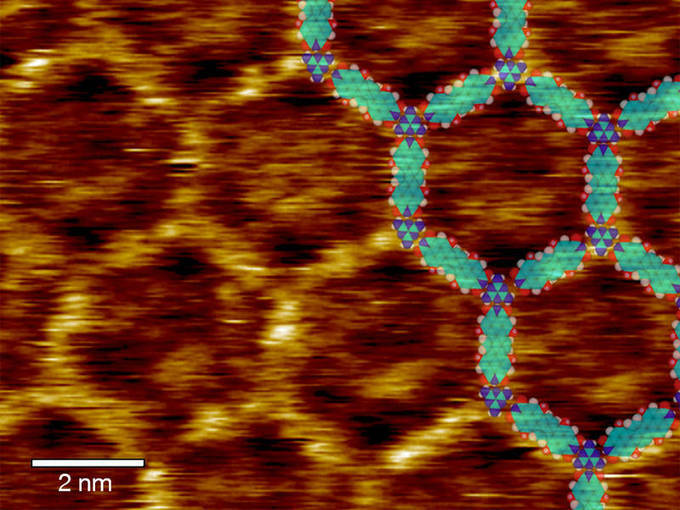 On the atomically flat surfaces of a graphene coated diamond substrate the molecules self-assemble into the target architecture in a manner akin to proteins and DNA nanotechnology. The sole driving force stems from the engineered supramolecular interactions via hydrogen bonds. As expected, the molecular network produces a photocurrent when exposed to light. The scientists now hope to scale up the device configuration and certify the photovoltaic response under standard conditions. “Intercalating self-assembled dyes between stacks of two-dimensional electrodes like graphene, opens up the possibility of easy scale-up to efficient photovoltaic monolayer elements”, claims Dr. Palma “This will put our work on the solar cell technology map”. The scientists used terrylene-diimide molecules as photoactive dyes. The network is formed when the elongated terrylene molecules link up with trivalent melamine. By choosing adequate side groups for the terrylene diimide the authors of the study determine which architectures can form. 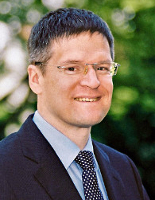 “This work is an excellent example of the interdisciplinary cooperation we seek to initiate with the institution of the Catalysis Research Center: a perfect match of chemistry and physics,” says Professor Ulrich Heiz, director of the TUM Catalysis Research Center. 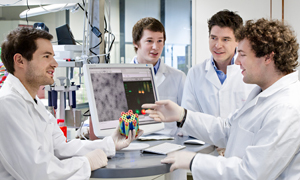 The research was funded by the European Research Council (ERC Grants MolArt and Suprafunction, as well as the Graphene Flagship project), the German Research Council (DFG) via the Clusters of Excellence Nanosystems Initiative Munich (NIM) and Munich-Centre for Advanced Photonics (MAP), the China Scholarship Councilas well as the French Agence Nationale de la Recherche and the International Center for Frontier Research in Chemistry (icFRC).